Uranium will only last a few decades - what then? 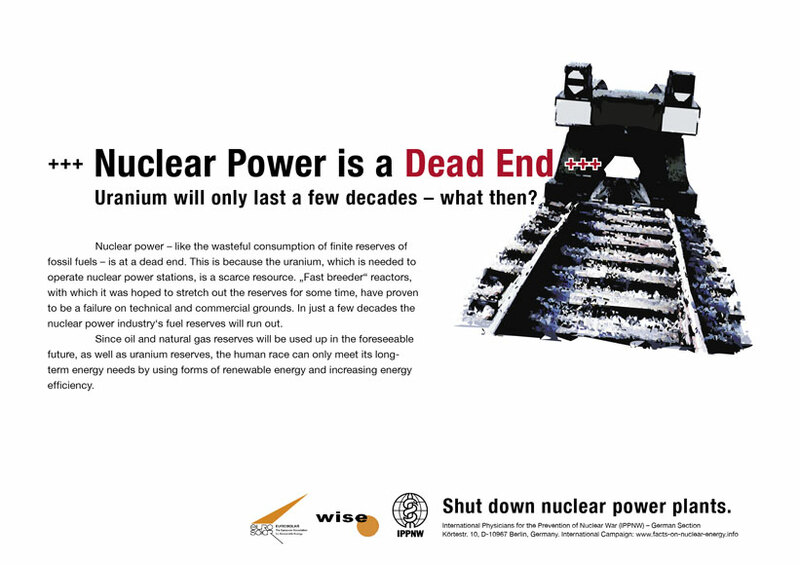 Nuclear power - like the wasteful consumption of finite reserves of fossil fuels - is at a dead end. This is because the uranium, which is needed to operate nuclear power stations, is a scarce resource. "Fast breeder" reactors, with which it was hoped to stretch out the reserves for some time, have proven to be a failure on technical and commercial grounds. In just a few decades the nuclear power industry's fuel reserves will run out Since oil and natural gas reserves will be used up in the foreseeable future, as well as uranium reserves, the human race can only meet its long-term energy needs by using forms of renewable energy and increasing energy efficiency.